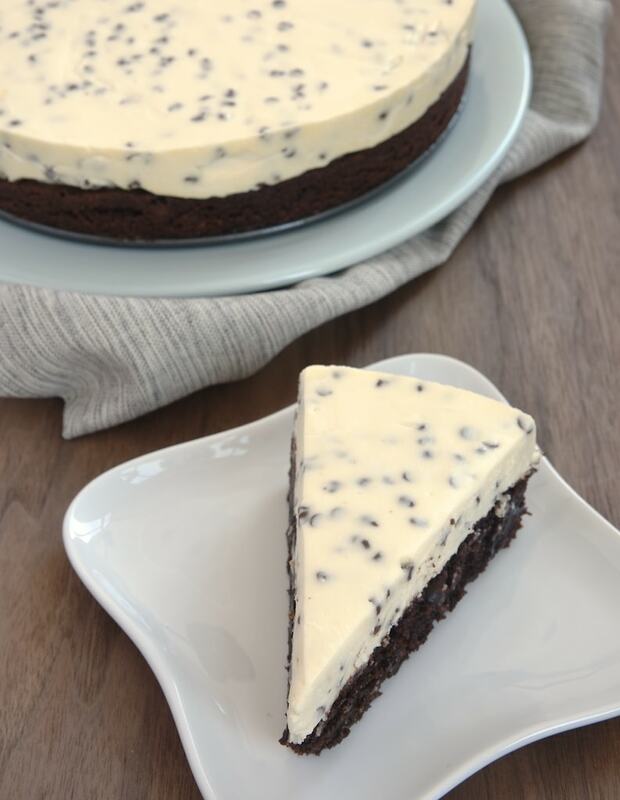 Fudgy brownies and an easy no-bake cheesecake combine for a simple, delicious dessert. Preheat oven to 325°F. Lightly grease a 9-inch round springform pan. Stir together the brownie mix, water, oil, and egg until moistened and thoroughly combined. Transfer the batter to the prepared pan and spread evenly. 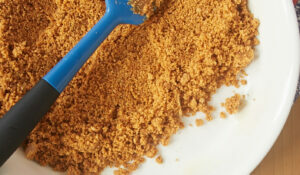 Bake 45 to 50 minutes or until a pick inserted into the center comes out with moist crumbs. Using an electric mixer on medium speed, beat the cream cheese and sugar until blended and smooth. Mix in the vanilla. Using an electric mixer with a whisk attachment, beat the cream at medium-high speed until soft peaks form. Fold the whipped cream into the cream cheese mixture. Gently stir in the chocolate chips. Transfer the filling to cooled crust and spread evenly. Refrigerate at least 4 hours before serving. *You can use any brownie recipe or mix that uses an 8-inch square pan. The brownie crust looks great with this. Simple and delicious! What a gorgeous dessert! This would be a perfect dessert for the holidays. Two desserts is always better! This looks in an incredible dessert! This looks FANTASTIC! Wow. Such a treat! I am going to eat this whole dessert myself, it looks so good! Oh my, what a duo! It is 11.06 in the morning, and I’m drooling over cheesecake. Life is grand! What a fantastic dessert. Totally drooling over the crust. The only brownie bottom cheesecakes I have made are baked together. 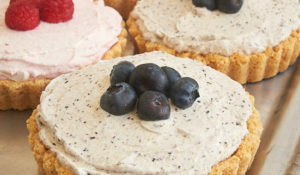 Loving this version with a no bake cheesecake on top! Especially because the chocolate chips did not sink they way they do when I bake it. Oh yum! I would so love a bite of that! Pinned! This is awesome!! Brownie and cheesecake, best of both worlds!!! Brownies + anything is an automatic winner for me. THIS looks incredible! Holy wow, I wanna slice stat! Oh my god – I thought that was just me. I can NEVER decide what dessert to have. I am loving the dual layers of this cake. It looks amazing! 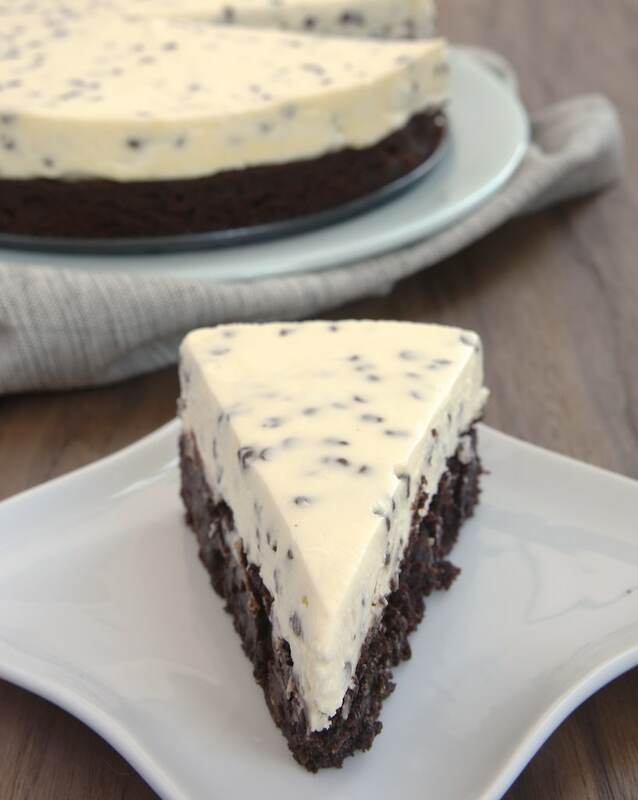 Brownies and chocolate chips and cheesecake, oh my! This looks delightfully decadent and delicious! I can’t wait for a special occasion to try out for myself. 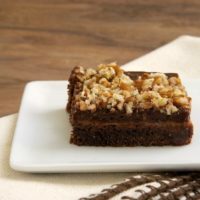 I would use a sturdy, fudgy recipe like my Favorite Fudgy Brownies. I can never choose between one or another dessert…so yes, I’m the girl who has BOTH. Always. But I love this two-in-one deal! I am making this for thanksgiving, but instead of chocolate chips i am adding oreos! I’m making this for thanksgiving too. How long would it keep in the fridge? 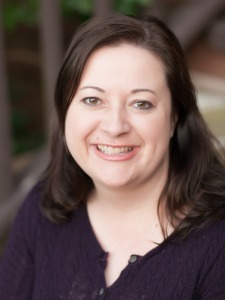 Hi, Teresa! Keep it tightly covered, and it should last 3 to 4 days in the refrigerator. The only thing that would make this more festive would be to crush the red and white peppermint candies and sprinkle in tip! Omg can’t wait to try it!!! Maybe for Thanksgiving I’ll break up some snickers bars! Oh boy, this is gonna be bad!!!! Great… yet another recipe that contains some component that is an American brand name item not sold anywhere else in the world, at least not anywhere near where I live. Well, nonetheless, I used my own brownie mix for this and it turned out extremely well. Milk chocolate or semi sweet for the chips? Hi, Ashley. I used semisweet, but either is fine. Looks so good! When you say “Fold whipped cream into cream cheese mixture.” Do you mean the heavy cream or actual whipped cream? Just want to make sure! Hi, Tiff. It’s folded in after it’s been whipped. Do you make the brownie mix as you would on the package or just mix in with the water, oil and egg? Wes, prepare the brownies as directed on the package. The water, oil, and eggs I listed are to prepare the Krusteaz brownies. Is the heavy cream this calls for the liquid kind? Not actual cool whip? Hoping I did this correct..
Hi, Rebecca. You’ll need heavy cream, not a non-dairy whipped topping like Cool Whip. Made this for a company dinner tonite and it was a hit! Such a good duo of desserts in one! Want to make one again and keep. Can this be frozen? Hi, Sandra. You should be able to freeze the cheesecake. Hey there! This looks lovely! But in my town they don’t sell brownie mix! Do you know anything else I can do? Hi, Sushmita. You can use any brownie recipe that usually makes an 8-inch square pan, whether that be a mix or from scratch. If you want to make them from scratch, click here for my Favorite Fudgy Brownies. Hi Jennifer. This Cheesecake looks delicious. 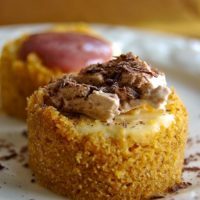 Can I know if I can substitute the heavy cream with whipping cream. It’s kind of difficult to get heavy cream here. Thank you. Hi, Candice. I think whipping cream will be fine. 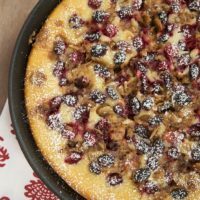 It tends to make a lighter whip than heavy cream, but that shouldn’t make a difference for this cheesecake. Hi Jennifer. Thanks. I’m going to try it tomorrow with your Fudgy Brownies recipy. Thanks again for the recipy. Hi krusteaz package mention in ingredients but not in the recipe plz if I miss it can you let me know how and when I use krusteaz pack. 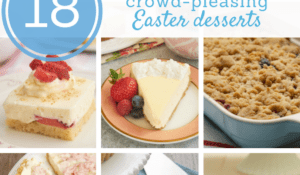 Do you make it in an 8″ square pan or a round pan? 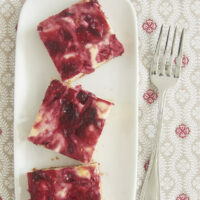 The picture of this cheesecake brownie had me drooling for weeks. 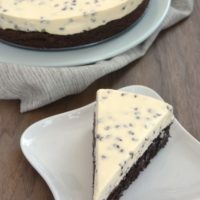 I finally decided to try it and when I looked at the recipe and saw that the cheesecake was a no bake recipe I was very skeptical. Because I like firm cheesecakes. But I decided to give it a try since it looks so good. I do bake pretty regularly, so I know I didn’t mess up the recipe. But it was such a disappointment. I feel like I wasted all those ingredients, I’m sorry. I actually used the brownie recipe from scratch that she has here,The fudge brownie recipe. And it was exactly THAT, very fudge like not flaky like a brownie. I was not a fan of that. But also, my fear of the cheesecake being too mushy was correct. It doesn’t taste BAD. it has a good flavor, just not the texture I wanted. 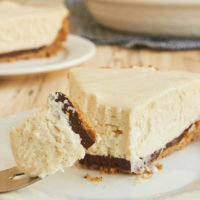 I will be making my own version of this using a brownie recipe that is more like a brownie less like fudge, and a cheesecake that needs to be baked. I see a good number of people liked it, it’s just not for me. But I’m glad I tried it since I was obsessing over it thanks! I need it for a party tonight. Any suggestions? I can’t imagine why it’s not setting, but try putting it in the freezer for about an hour or so. If you read the recipe for the cheesecake part I noticed that they did not state when/ how to add the gelatin. This is the setting factor!!!! Can this desert be make up a few days ahead of time and frozen? Yes, you can make it in advance. You can freeze it if you like, but it will be fine in the refrigerator for a few days. I plan on making this dessert for Thanksgiving. It looks fantastic and I hope it turns out good! I just have a quick question. For the heavy whipping cream, could I just use “cool whip” from the freezer section? Or do you really recommend that I stick to the heavy cream? Thank you! Hi, Kaya. You can use Cool Whip if you like. You’ll need 1 & 3/4 cups. I generally don’t like to use it, but that’s just a personal preference. I have made this using the Candy Bar Icing on top of my brownie and it was delicious! So I made it and it was awesome! But it wasn’t very cohesive.. Like the cheesecake didn’t stick to the brownie.. It chilled for over 24 hours as well… Any suggestions on what I did wrong? Hi, Angel. If you used any low-fat or no-fat ingredients, that would have affected the texture. Do I release it from the spring form after it sets or before I put the cheese/cream topping on the brownie? Wait until after the cheesecake layer sets. I made this and it’s better the 2nd & 3rd day. Your pistachio cranberry cookies recipe is great, too! Both were a hit. I’m glad they were both a hit, Jill! i am confused with step #5 & 6 ??? You’ll mix those two components in separate bowls and then combine them in step 7. Does that help? Best thing ever. So delicious. Made for my own birthday in July and just made again for my mother’s birthday. 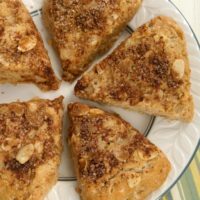 You won’t be disappointed with this recipe! Thank you! Epic failire. I used all the correct ingredients and a spring form pan. I baked the brownie for 45 minutes and it became a slab of concrete. Cheesecake did not set at all and it was in the fridge for hours. Don’t waste your time or money on this. I’m gaining weight just looking and reading about this! Sounds awesome!!! If you can’t find the brownie mix suggested do you just follow the recipe on the mix purchased for Water Oil and Egg or do you follow the suggested amounts in this recipe? The info here is for making this particular mix, but you can make any mix (or recipe) you like that’s designed to fit an 8-inch square pan. Tried this recipe for a trial run before making it for a baby shower for my niece, who is gluten intolerant. Used a King Arthur’s Gluten Free Brownie mix. This cheesecake was perfect! Husband loved it, and I will definitely be using this recipe for the shower! Thanks for sharing!!!! I’m so glad you liked it, Kay!